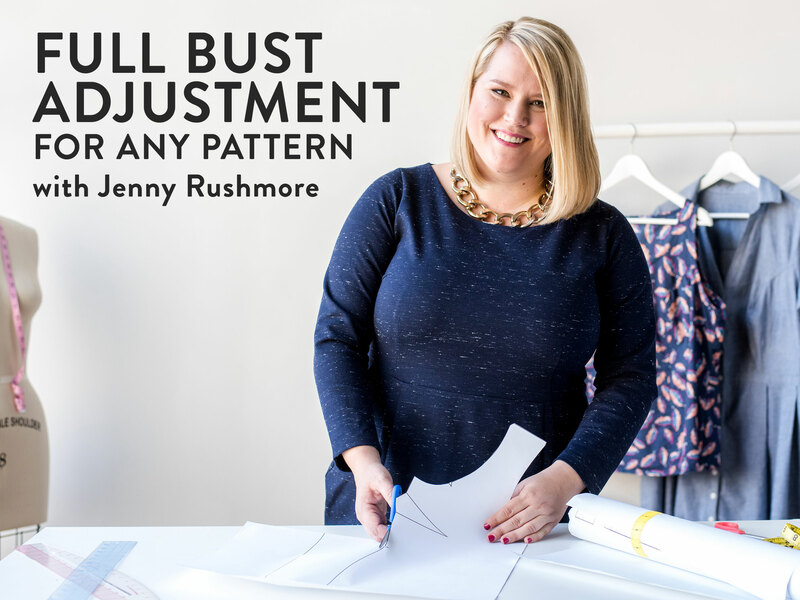 Enter Jenny Rushmore of Cashmerette & her new Craftsy class Full Bust Adjustment for Any Pattern. 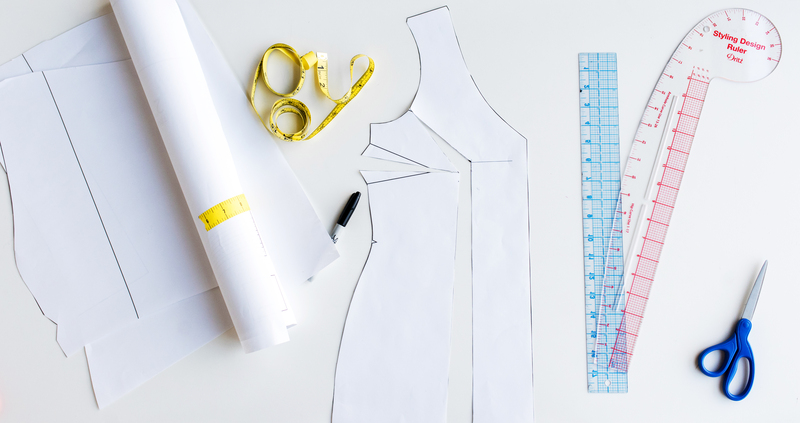 The class takes you through all the variations of an FBA you could need, on patterns with darts, princess seams and even knits. It is a thorough class, on the Craftsy site it is listed as suitable for Intermediate sewers, but I think an advanced beginner would also find it really useful. Lesson 1: What’s an FBA? The class is $40 USD at full price, but like all Craftsy classes, it’s regularly on sale for $19.99 – $29.99. Given the amount of information included, this is great value. Jenny is good at clearly explaining what she is doing and why, alongside the video, which is really easy to follow. Even the more complex areas such as splitting & rotating darts, which I have previously had trouble getting my head around, were simply explained and very clear. Jenny uses plain paper pattern pieces and a black marker to demonstrate each technique, the only additional tools you would find helpful are a French curve ruler, but even that is optional. Rather than a one size fits all approach, Jenny suggests various options for using the techniques demonstrated, such as moving darts or using multiple darts. The extra tips and advice are really useful. Things such as taking proper measurements (I loved the “sitting waist & hip measurement” tip), how to sew a dart, how to press it properly, successfully sewing princess seams, there is a lot of additional information included, which I think is particularly helpful. As you can tell I found this a really useful course. One of the things I think a less experienced sewer such as myself found helpful is the clear explanation of the “why” of doing an FBA, as well as the “how”. 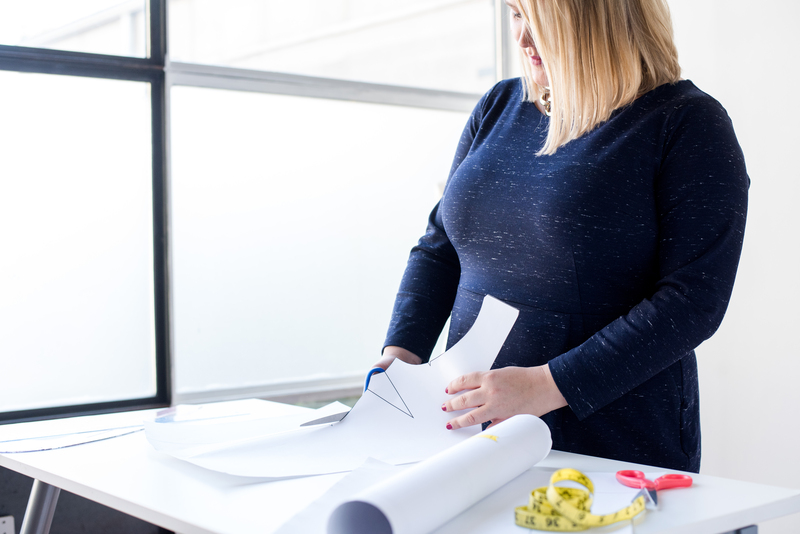 Sewing is all about 3D fitting with a two dimensional pattern, so having someone clearly explain and show why we are making the adjustments we need, makes the ‘how” much easier to understand. I like Jenny’s relaxed style of presenting, and the pace is good, including plenty of detail without feeling overwhelming. There is a lot of information included, which I think makes it good value for money, especially for the more advanced techniques such as rotating darts, and adjusting princess seams, which I know I will watch again. I have previously tried to learn some of the techniques from a book, but I found watching a demonstration makes them much easier to understand. If you want a comprehensive guide to doing FBAs, with plenty of extra tips & tricks, I would highly recommend this course. Disclosure: Please note I had intended to buy this class for myself (Xmas!) when Jenny asked for reviewers, I then received this class for free in exchange for an honest review! Hi Kristina. It sounds like a great course which is easy to watch with a lot of good information. I was wondering about your personal experience and if you actually used the methods in the video. Did you manage to make something for your sister’s E cup? Did the tips and the tricks from the course work for you? Thanks, yes I did make a (very wearable I think) blouse, my original intention was to have photos of the completed muslin/garment to accompany the review, but due to a few timing issues, (not least my model heading off to Australia on Xmas holidays!) we ran out of time. So instead I’ve been working on a longer post for my own blog, including the FBA I did for her, which included adding darts to a woven fabric , and a smaller one I actually did for myself, on a dartless pattern. I’ve also talked more about a couple of the techniques I refer to in the review, including accurate measuring, finishing the dart & proper pressing. Hopefully that will be ready in the next week or so, I’m hobbling around with an injured foot at the moment so everything seems to be taking a bit longer than it should! 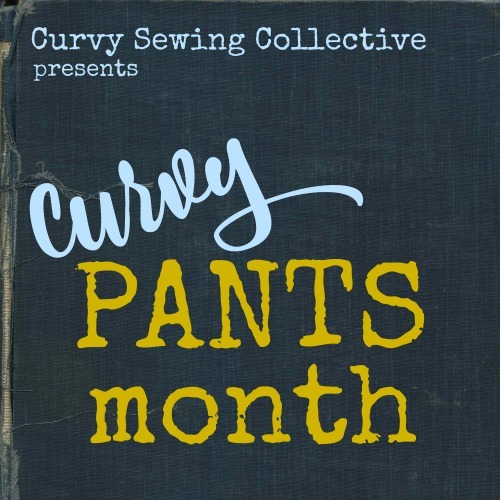 I’ve taken Jenny’s course Fitting for Curves – Pattern Adjustments for the Upper Body (which was great). Has anyone done both and can comment on what the Craftsy class covers that is not included in that one? 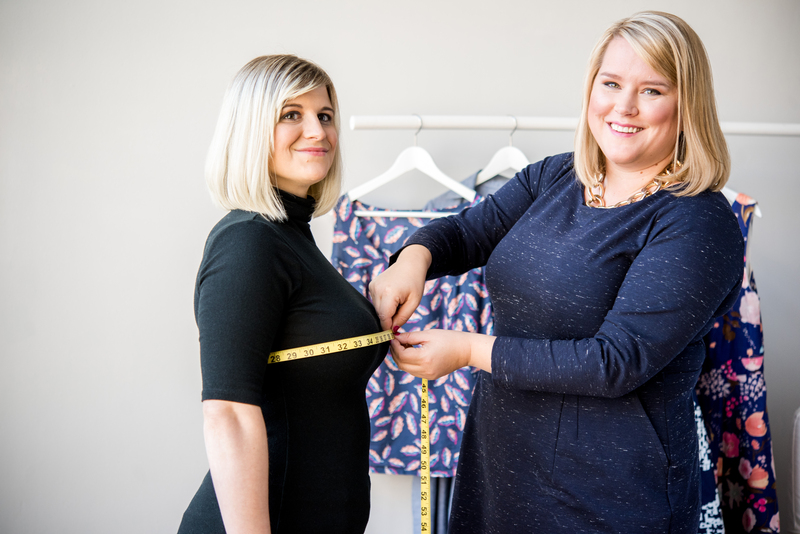 The Craftsy class is more in-depth in Full Bust Adjustments – it covers the bust parts of Fitting for Curves, but goes into more details and has more variations (e.g. it shows how to FBA a French Dart, fix gaping). Fitting for Curves goes beyond bust adjustments to cover other topics too. So basically, the Craftsy one is more specialized. Just saw this now – didn’t get the notification somehow. Thanks, Jenny! This sounds like a great class. One question I have is: how much supplemental information is there in a non-video format? I have rural internet with a data cap, so streaming just isn’t going to happen. But this is the first class that sounds like it would be worth taking my laptop to Starbucks to watch. However, I surely won’t be able to remember everything I saw when I get home to my sewing. So I’m hoping there are also some printable class notes I can use to jog my memory. The class comes with a list of supplies and diagrams of the adjustments Jenny is making, but no class notes as such. However there is a facility to make your own notes on each class while you are watching , by typing your notes into text box under the viewing screen. These can then be printed out, (each note will print next to the part of the class it relates to) Hope this helps! Thanks,but that still involves downloading – which uses internet data. I don’t have a smart phone either. Oh wait, duh, you mean download the video while I’m still at Starbucks watching it he first time. Now that’s a GOOD idea. I think you said the magic word: “why”. Any good teacher explains “why” and not just “how” to do something. Question though…. what is that bodice front sloper shown in these promo photos? Is that a particular pattern she uses in the class? If you meant the paper pattern I’m “cutting” in the photos (of course I’m actually not ;D), it’s the Cashmerette Springfield Top. But in the class, I use a variety of patterns to illustrate the various concepts (e.g. patterns with 1 dart, 2 darts, no darts, princess seams, knits etc.). They are all Cashmerette Patterns. Do any of you who have watched this class think it would be helpful for a double mastectomy, no prosthetic, figure? I haven’t tried to make any garments since my surgery because I’m at a loss of how to adjust the pattern and still keep an interesting and somewhat flattering design. Hi Barb! So this class is specifically targeted at women with a D+ cup bust, so unfortunately it wouldn’t help you with pattern adjustments in the other direction. It might worth emailing Craftsy to say you’d like a class on that topic! + D?! Those days are so over! Thanks for helping, Jenny. Hi Barb! I think you’ll find the Flatter Patter blog by Brenda very useful. 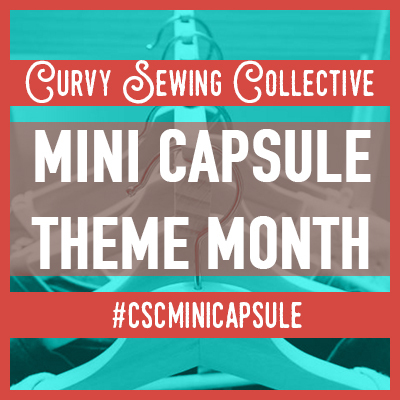 It’s a blog about sewing for a post-mastectomy body. There is a small busted woman who has broad (swimmers) shoulders, she said she achieved her best fitting blouse using a men’s shirt pattern with a small fba. Lilysageandcompany is her blog name. Oh! Thank You for sharing this! It looks amazing! I’ve been scared to death every time I heard the dreaded FBA!! I just pointed my darts lower and “draped” the fabric over the bust! I can’t wait to do this class! Thanks for the review. You did a good job. Jenny is an awesome instructor. I have most of her webinars, as well as the one on Craftsy.com. You are right, watching a demonstration makes instructions much easier to understand, even for someone who has been sewing a long time. I highly recommend Jenny and her webinars. I too bought this course. Jenney packs in lots of information in straight forward very understandable manner. She doesn’t spend hours getting to the point, I came away realizing FBA’s are far less daunting than I ever imagined. Thank you so much for the review. The course seems just right for us FBA scaredy cats. 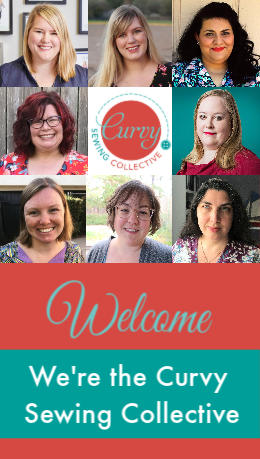 I’m an unapologetic Craftsy addict, with way too many classes in my library (I have now joined their unlimited program, as it will save me a good deal of money). That said, this is my favorite. I have used FBA’s before, so you might think the class was overkill, but having the technique explained so clearly and visually, and having the information for every sort of dart or dartless alteration in one place is such a gift. Thank you Jenny Rushmore. As soon as I saw Jenny on Craftsy I signed up! I’ve taken Jenny’s other classes online and couldn’t recommend her as a teacher more highly. Very clear instructions and a lovely accent – how can you go wrong? Thanks so much for your review. I bought the course as well and really enjoyed learning a variety of ways to do a FBA. I really appreciated the section on doing an FBA without a dart (for T-Shirts). Nice review of a very good course!